Main objective of this report is to analysis Human Resource Management Practices of Agrani Bank Limited. other objectives are to determine the steps involved with HRM and determine the roles of HRM in banking sector. Report also analysis on generate the credit division along with general banking system. Finally identify the type of system is in HRM and forecast the effectiveness of Human Resource Management Practices of Agrani Bank. The main purpose is to be familiar with the real world situation and practical experience in a business firm. Commercial bank, especially Private Bank is one of the important business sectors in Bangladesh. 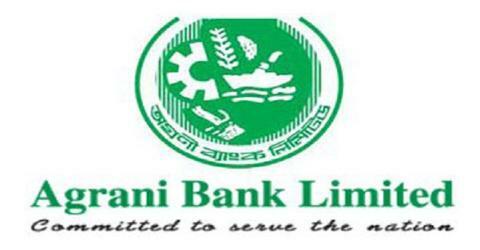 Agrani Bank Limited is a scheduled commercial bank in the govt. sector, which is focused on the established and emerging markets of Bangladesh. The purpose of this study is to earn a real life practical experience on Banking System. We treat our human resource as an instrument for development. Our workforce is the prime factor of our success. Following Corporatisation , the Bank’s key strategy is to set a new standard towards the full range of exploration and development of our human resources, in 2007 , we concentrated more on quality, efficiency, creativity and professionalism in our human resources. Developing the managers (and future managers) themselves. Bank arrange competition for the children regularly to explore their literary and dramatic talents in a colorful program named Agrani Bank Shishu Sahittaya Award at shishu Academy. Another thing is that after getting training the employee usually not posted it their properly area. For example an employee got training in Credit but he has been posted Foreign Exchange Department, in this case what happened is that after couple of time he forgot the content of the training. So it should be kept in mind that after training they should be properly posted.